Convert medical images between various formats. 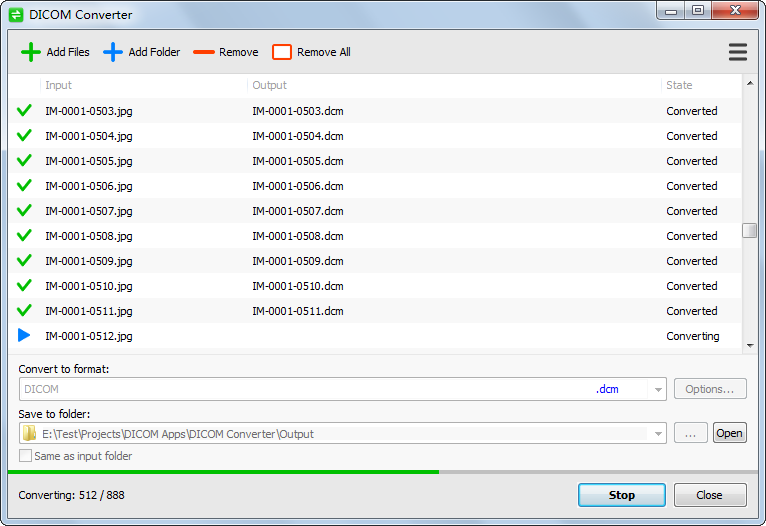 DICOM Converter is a Windows app for converting DICOM images to popular image format. It can also convert common images to DICOM format. Convert DICOM images to JPEG, PNG, TIFF, or BMP format. Convert JPEG, PNG, TIFF, and BMP images to DICOM format. Support RAW, JPEG, JPEG 2000, JPEG-LS, RLE, and most of DICOM formats. Integrate with your Windows Explorer, so you can convert files with just one-click.